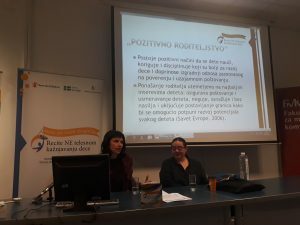 The Child Rights Centre, in partnership with the Department for Social Work of the Faculty of Media and Communication organised a public debate „Positive parenthood as alternative to corporal punishment of children“ on 29 October 2018. 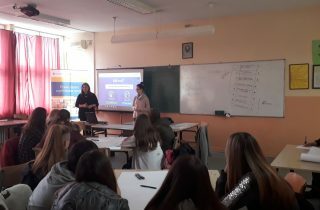 The topics discussed at the public debate were focused on improvement of normative framework for banning corporal punishment of children in all settings in Serbia, psychological and social consequences of corporal punishment on children, as well as on the role and place of professionals in promoting positive, non-violent and participatory ways of educating and disciplining a child. Participants of the debate were students, members of academia, representatives of various institutions and organizations and parents. Milena Golić Ružić, Programme Manager of the Child Rights Centre. 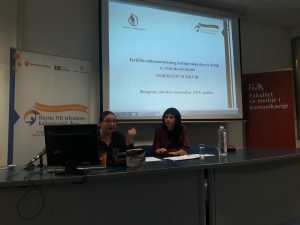 On this occasion, a number of issues were discussed related to the complexity of the phenomenon and the necessity of introducing an explicit legal ban of corporal punishment of children in all settings in the current social context of Serbia. 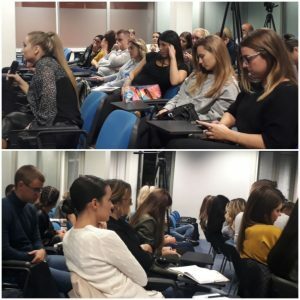 It was pointed out that there is a need to additionally support parents and the whole society in order to better respond to the challenges that parenthood brings, as well as to continuously work on removing wrong attitudes and strengthening parental competencies and skills. The necessity of empowering professionals to support future parents at the earliest calendar age of children was emphasised. One of the important topics raised at the public debate was how much corporal punishment of children influences society as a whole by creating and supporting the “culture of violence”. 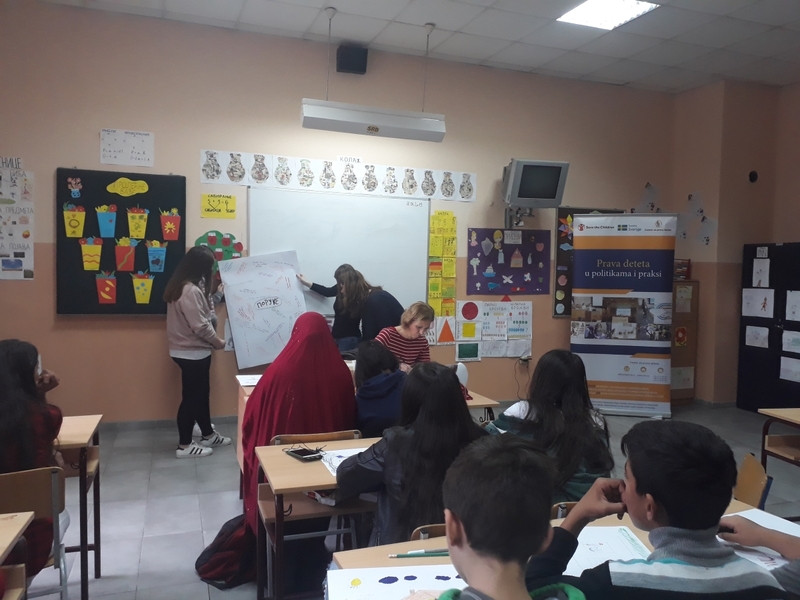 This public debate is part of the activities that are implemented in the context of the project “Child Rights in Policy and Practice”, implemented by the Child Rights Centre in partnership with the Save the Children International, funded by the Government of Sweden. 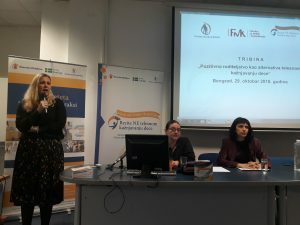 This project aims to improve child protection system, as well as structures and mechanisms for monitoring and implementing the rights of the child, including the participation of children in these processes in Serbia. 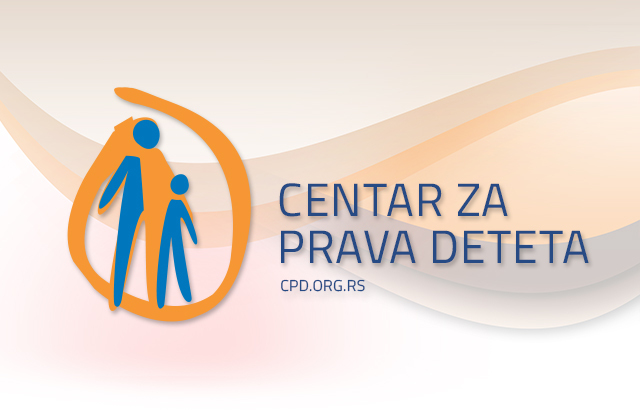 In the context of this project, the Child Rights Centre raises public awareness of negative consequences of corporal punishment of children, especially among parents, promotes positive and non-violent methods of upbringing, and introduces the public with the rights of the child in general.